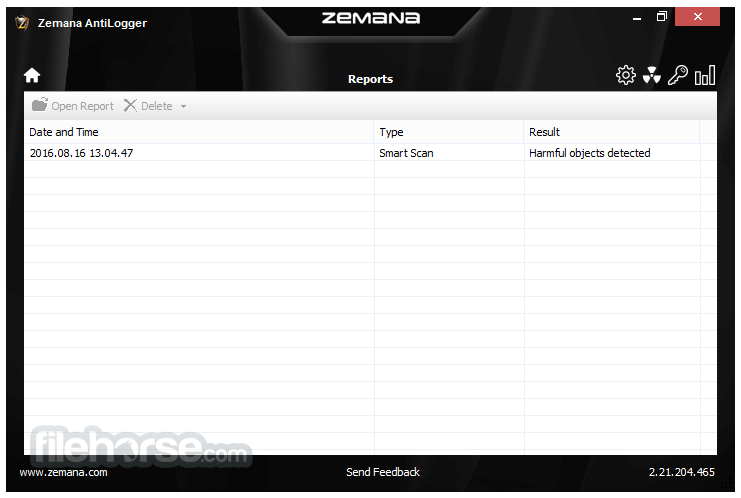 Zemana AntiLogger is a powerful application that protects your Windows computer from keylogger attacks. It encrypts your every keystroke deep into your computer's core and delvers decrypted data directly where you are typing it. No one will be able to steal your information. All they are getting is as valuable as a shredded document. 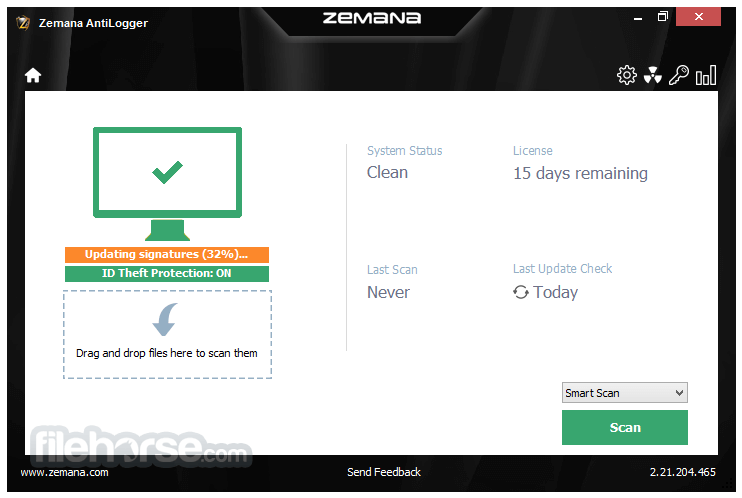 Zemana AntiLogger protects all the application you use. Unlike anti-logging tools that work with only one specific application such as your web browser, AntiLogger Free protects every application on your computer. Lightweight and seamless, the program is easy to install, requires no configuration and does not slow down your PC. Makes it possible that your credit card numbers, social security numbers, and login credentials are transmitted securely leaving attackers power-less. Zemana AntiLogger allows you to camouflage your daily online activities-shopping, calling, texting, online banking and more, so intruders can never get a pick into it. Works continuously in the background blocking infections before they reach your PC in real time. Gets rid of annoying browser add-on's; adware, unwanted apps and tool bars that you don't even know how they appeared there. Lightweight and efficient online service that detects malicious files and hidden processes that may be sneaking on your PC. Each unknown file will be analyzed carefully in the cloud with Pandora Technology before they execute on your PC so any zero-day malware is power-less here! Do you want to see your data encrypted with ransomware? Definitely no. Use the best ransomware protection in the market as according to MRG Effitas and build your defense system.